Rev. 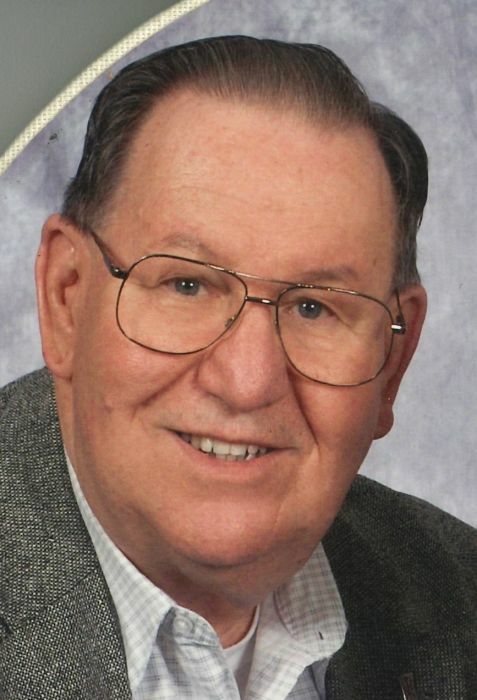 Edward F. Kletzien, 80 of Plymouth, after a long and blessed life, surrounded by his loving family entered the waiting arms of his Lord on Tuesday, March 19, 2019 at his home. Rev. Kletzien was born on November 21, 1938 in Sheboygan a son to the late William and Emily (Kunstmann) Kletzien. He attended various schools and graduated from Port Washington High School. On December 13, 1958 he was united in marriage to Mary Ann Ehren. He was employed at Security National Bank for many years. Rev. Kletzien furthered his education at Lakeland College attaining a BA degree in Philosophy and Sociology in 1979 and in 1982 received a Masters Degree in Divinity at Concordia Seminary. He was ordained by the Missouri Synod Lutheran Church in 1982. Rev. Kletzien served as pastor at Grace Lutheran Church in Three Lakes, WI from 1982 until 1987 and then served as chaplain at the Wisconsin Veterans Home at King, WI until his retirement in 2003. He and Mary Ann returned to Plymouth in 2003. He served in the Army National Guard. He was a member of St. John Lutheran Church, Plymouth. Rev. Kletzien had a great love for his wife and family especially his grandchildren and great grandchildren. Spending time with them kept him young and energetic. He enjoyed fishing and golf along with watching movies. Rev. Kletzien is survived by his wife, Mary Ann; his four children, Pat Kletzien of Plymouth, Ed (Ruth) Kletzien of Sheboygan Falls, Ron Kletzien of Sheboygan and Jeff (Lori) Kletzien of Plymouth; his grandchildren, , Ben (Laura) Kletzien of Union, KY, Jake (Jeehee) Kletzien of Seoul, South Korea, Sam (Mary) Kletzien of Wheaton, IL, Tim (Abbey) Kletzien of Glenbeulah Emily (Martin) Spatz of Lienfelden, Germany, Nate Kletzien (special friend, Crystal) of Sheboygan Falls Otto Kletzien (special friend, Alaina) of Boulder, CO, Erynn Kletzien and Joslyn Kletzien, both of Plymouth; his great grandchildren, Jacob, Evee, Zachary, Ryan, Holly and Dorothy; and a sister, Elaine Ogren of Pigeon Falls, WI. Other relatives and friends further survive. He was preceded in death by his brothers and sister, Bill, Richard, Kenneth and Carl Kletzien and Delores Ganagan. A memorial service for Rev. Kletzien will be held 6 PM, Tuesday, April 2 at St. John Lutheran Church in Plymouth with Rev. Nathan Meador, pastor, as the officiant. Inurnment will be in Gardens of Peace Mausoleum. Family and friends may gather at the church, 222 N. Stafford St. Plymouth on Tuesday, April 2 from 4 PM until the time of service at 6 PM. Memorials in Rev. Kletzien’s name may be directed to the American Cancer Society. Rev. Kletzien’s family would like to express their gratitude and deep appreciation to his many caregivers at the Atrium especially Michelle and Melody, his social worker, Amy and the staff of St. Nicholas Home Health Hospice. Your care and compassion will long be remembered.